There is Korean saying "Even a chance meeting is due to the Karma in a previous life." We will serve you as our family and friend as we want you to remember the time with us as a great memory. There are so much fun in Seoul and we cannot wait to introduce all of them. It does not matter morning, afternoon or late night. You will be surprised what you can enjoy in every second. We look forward to meeting you soon. You will enjoy guided tour with interesting secret and meanimeaningful. The DMZ has been the most popular tourist destination in Korea for foreigners since the fall of the Berlin Wall in 1989. The purpose of the zone is to prevent the recurrence of war between North & South Korea. The zone stretches 2 km north and south respectively from the ceasefire line of 1953. The land stretches across the Korean Peninsula 155 miles from the mouth of Han River to the East Coast. It's one of the most well-preserved wild-life refuges where peace and tension coexist. The President of Korea, Park Geun-hye, is pushing to build a “peace park” in the DMZ as a new symbol of political reconciliation and ecological conservation. The surrender of Japan in 1945 at the end of Pacific War saw the division of Korea along the 38th parallel, when the US and the Soviet Union moved into the Korean Peninsula. The line was intended to be a temporary political border, but the failure to hold free elections throughout the peninsula in 1948 deepened the division between the two sides. North Korean tanks crossed the 38th parallel at dawn on June 25, 1950. The war lasted for three years and one month, costing more than two million people's lives. The ceasefire agreement was signed at Panmunjom on July 27, 1953. The armistice, not a peace treaty, is still in effect today. In essence, any DMZ tour is meant to experience the reality of division and to find hope for the future. 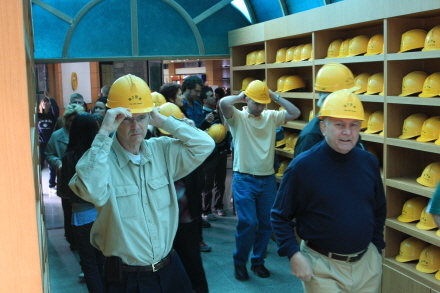 The highlight of the tour is to explore a tunnel dug by North Korea. 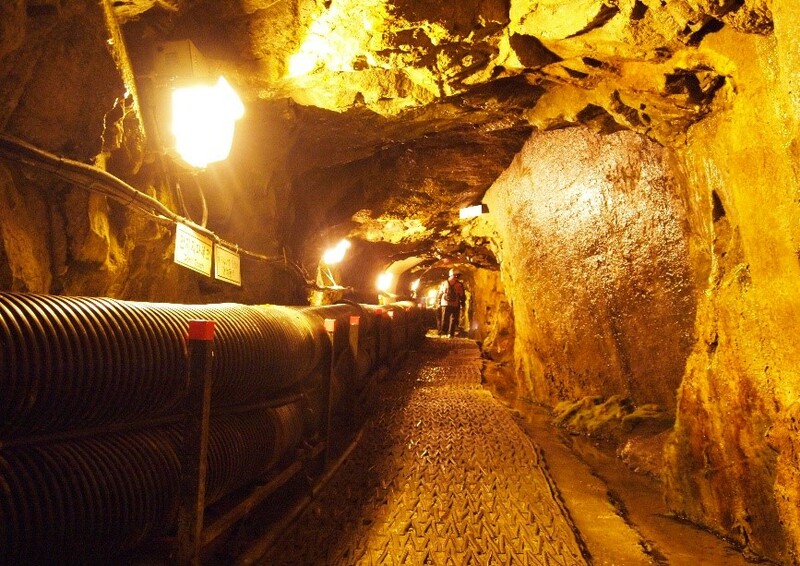 The tunnel was discovered by the South Korean Army as the third one among four tunnels, hence the name “The Third Tunnel.” It is a surreal experience to find a 1,635 meter tunnel at a depth of 73 meters underground. The infiltration tunnel was made by dangerous manual excavation work with dynamite, shovels and pick axes. 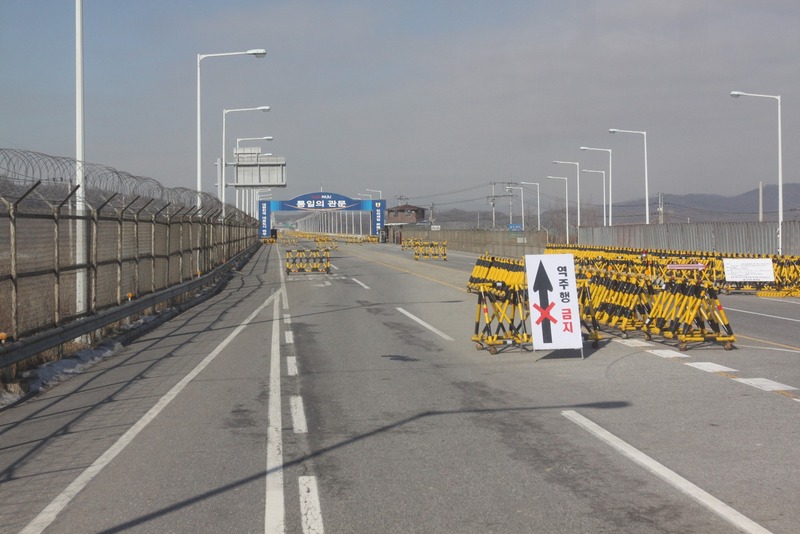 The tunnel is located only four kilometers away from the JSA, where the representatives of North Korea repeat their version of peace and reunification. The other tourism spots include an observatory and a train station. The observatory sits on the top of a hill, from which you can observe the northern area including the “Gaesung Industrial Complex,” the “Propaganda Village,” a huge statue of North Korean Leader Kim Il-sung, etc. The train station is the northern most one of South Korea and it is physically connected to the North Korean railway system, which again is linked to the Trans Eurasian Railway Network. Regardless of the frustrating diplomacy surrounding the Korean Peninsula, here you can find the possibility of going to Europe by TRS (Trans-Siberian Railway). Let’s make a memorable trip to the Demilitarized Zone. You can have it only in Korea. Located within one-hour distance from Seoul! Half-day plan from your itinerary will suffice. No big deal! Our Dmz Tour Service provides comfortable and wonderful special experience to you. DMZ is an area extend over 2km out from the border of both Koreas, a large scale of 64 million Pyeong(and around 50,156 each). Along this DMZ bisecting the two Koreas stand almost 2 million armed armies from both sides. In the DMZ, you can see historical places breaking the heart of so many Koreans. It is a silent and calm place good preserving environment because no one has been allowed to get in for the past 4 decades. It’s also well-known for being home to precious wild nature and wildlife. Seen from the distance, DMZ looks alarming, but once you get to know it deeply, you actually notice it one of the safest security ecology tourist attractions. 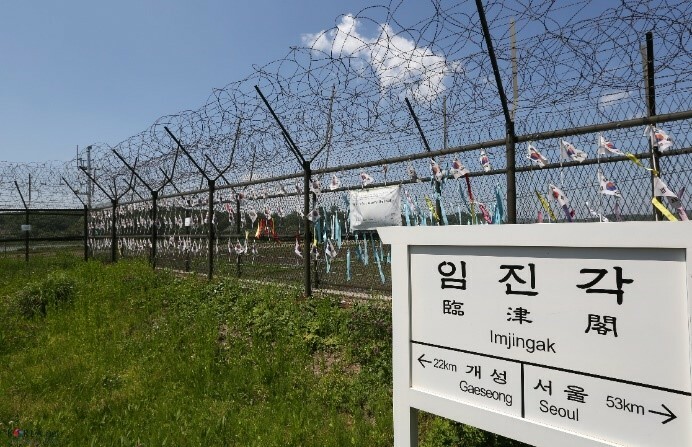 Do not miss an interesting trip to the world-unique demilitarized zone. 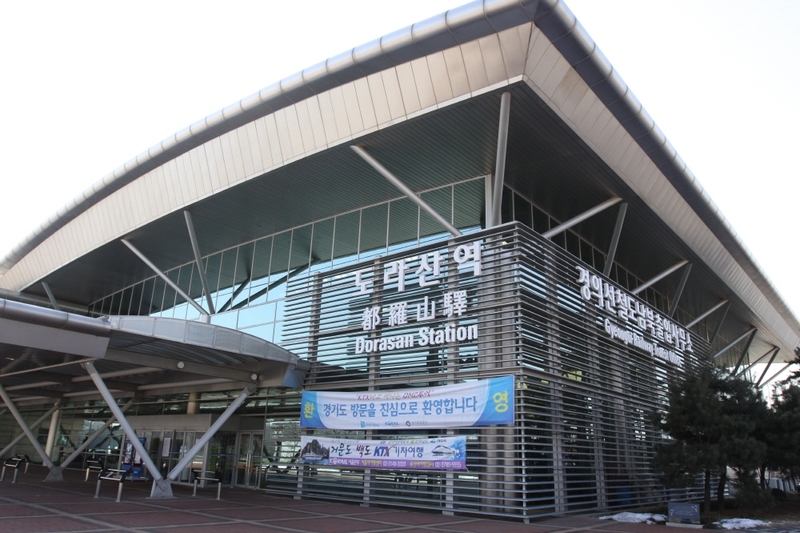 + Purposeful to visit the Dorasan Train Station, which would be the first station that connects Eurasian Continent (Asia and Europe). 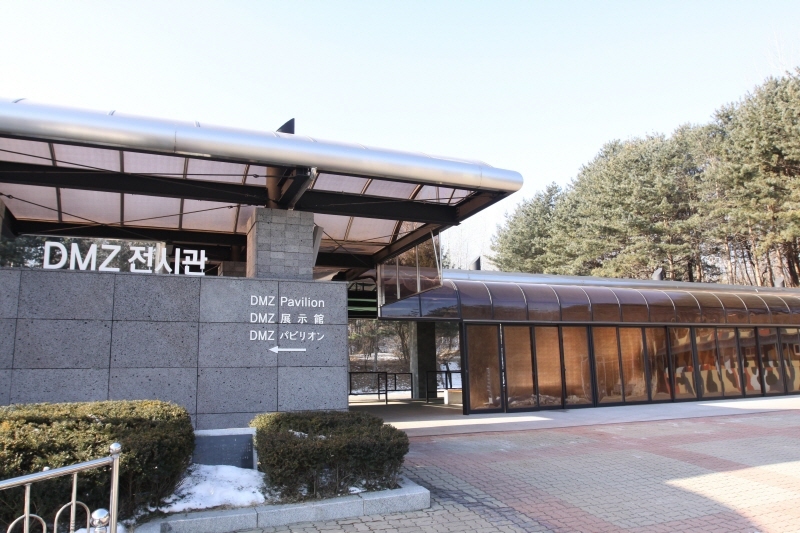 + DMZ is a place where it connects historically the past, present and future of Korea. 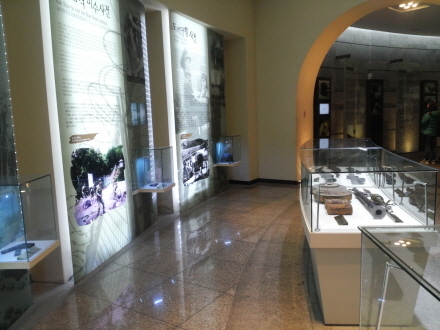 + Discover the 3rd Underground Tunnel near the DMZ that would have rewritten Korean history if it was not found. + Thrilling walk in the most dangerous tunnel closest to South Korea, through which more than 500 soldiers and even tanks can go through. + DMZ is the top tourist attraction for foreign visitors and they pay to visit Korea for that. It is a place scalding with Koreans’ sorrow due to the 6.25 Korean War. It is a security-reunification tourist attraction with its Mangbaedan(alter) for the displaced whose hometowns are in North Korea, Freedom Bridge as a representative, estate of the Koran War, Bell of Peace and so forth. Especially, Mangbaedan is famous as a place the displaced perform an ancestral rite on the occasions of Chooseok (Korean Thanksgiving) and Lunar New Year. After the truth, South Korean soldiers accorded during the Korean War, when they went down south, used Freedom Bridge, whose southern end are pendent hundreds of thousand ribbons of peace, designing an extravagant. 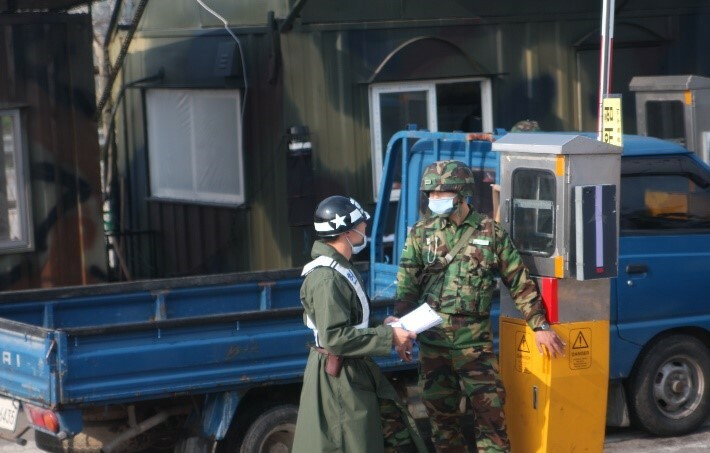 Its northern part is a civilian control place and the first door to the DMZ. Everyone, male or female, Korean or foreigner, should receive a license to cross the bridge. If one is a foreigner, he/she has to bring passport and if Korean, ID before traversing the bridge. This bridge is also famous because Jeong, Juyeong, founder of Hyundai Group crossed to visit North Korea with a herd of 500 cows in 1998. It is a rare museum within the civilian control line. 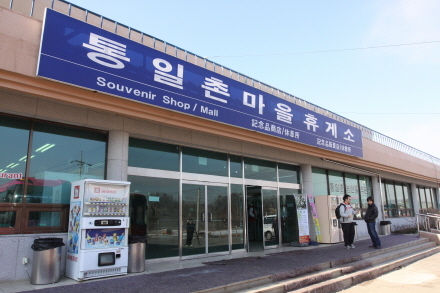 The museum, which the nation and the county had spent 44.5 billion Korean won, and it was officially opened on 08, 14, 2009. DMZ Showroom displays, brochure used during the 6.25 Korean Civil War, bayonets, empty cartridges, military letters, pottery found on DMZ, taxidermied birds and etc. DMZ Video Room features three-dimensional moving pictures. By watching them, you can easily find out how Korea got divided. The Third Unground Tunnel burrow out by the North could send 30,000 soldiers per hour to invade the South. It’s wide enough for even tanks can go through. It has elevators and you can go down either on foot or by train. When you go down on foot, you must wear anti-slip shoes since it’s dotted with slippery areas. In the tunnel, you are allowed to get as close as 200 meters to the Military Demarcation Line (MDL). You will get amazed. It is the place you have the best view of the North since it’s located on the southern border of the DMZ, that is, in the northernmost part of South Korea. Here, you can see with the naked eye, the barbed wire fence put along the MDL, and during a clear day, you can see the North Korean villages and Gaesung Industrial Park of the North. Watching the North Korea close enough to reach, again, you get aware of the divided Korean Peninsula. It’s not the last station in the South, but the first station to the North. Should Korea be re-united, it would be the starting and arriving point of transcontinental railway traveling which go through the Eurasian Continent. The train doesn’t run as now. It obtained international attention in 2002, when George Bush, president of America and Kim, Daejung, president of Korea visited it. Thenceforth, it began to rise as a bring tourist attraction even in the eyes of foreign reporters. The village in DMZ as an eco-friendly village with its rich farming land and nature-given setting is the only place in the world, access to and it controlled by the military. Especially, cold soybean grown in its fertile land rich in calcium and protein is known as nutritious choice food. It has obtained so much popularity as the village’s indigenous product that it is the most favorite memento of those visiting the village. 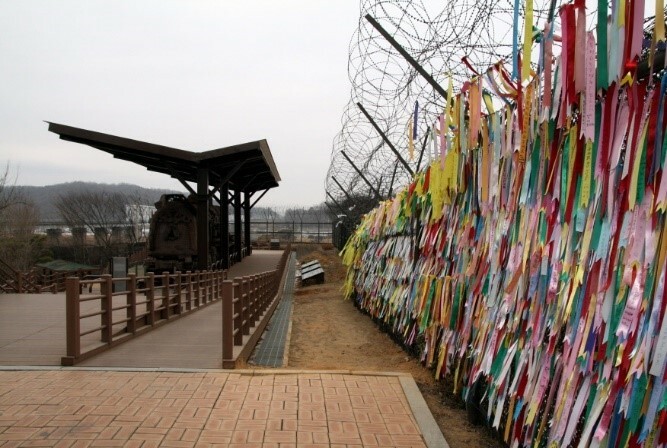 The DMZ tour package is made up with courses well, which shows the sad history of Korean division. Let’s set out on a trip to sorrow historical places hidden in the dark side of brilliant, advanced Korea. You can move individually up to Imjingang Station, but only specific buses can cross the Tongildaegyo(bridge) so you have to hop on one of them. The Seoulcitytourbooking Tour starts from Seoul and led by guides who can speak English which is the most efficient. Already had a JSA tour with this company a couple of days ago and I was so fascinated and impressed by the tour and how it was presented to us, i decided to go to DMZ, in which I shouldve chosen JSA+DMZ tour to save money and time, but oh well. anyways, I had a different tour guide from the JSA tour, but he was also as good as S,P. the tour also was very impressive and educational, and it made total sense that how much connection both JSA & DMZ have in terms of Korean War and the history between two korean sides. I also loved about how this company handles customers since I was very well informed and well treated like a vip private tour. in conclusion, i highly recommend this DMZ tour, but also I really recommend JSA+DMZ tour since you can actually learn so much about the history and the current issues they two koreans are facing. Loved the tour! It has everything I wanted to see and the tour guide was also excellent too! awesome tour with a knowledgeable guide who seems very experienced. The tour itself was very educational and well organized. Very unusual experience with nice tour guide who made for the day. It was time to learn more for the different world. The tour we had for DMZ gave me a good time to experience the area where the summit was around. Together with good English speaking tour guide who had me learn a lot of new things for Korea. A very good tour for a day with exciting views for North Korea and the tunnel exploration. Thanks to the tour. Learning the history of korea and able to see and buy the north korea during the DMZ tour. It was really nice tour that I never been before because I was able to see the north korea with the microscope at the Dora observatory.Also,I was able to see the last station which named dorasan station. 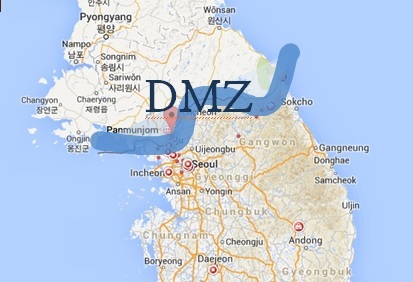 I booked the DMZ tour offered by cosmojin travel agency. It's kind of like a group tour including english speaking tour guide, free pick up. The tour covered Imjingak, the 3rd tunnel, Dora Observatory and Dora station. It was well organized trip with professional staffs. Tour guide tried to inform us about the DMZ, Korean War during the tour. I had a great time to learn the history of korea. The weather wasn’t really nice, but it was a very special day for me! To see and hear and learn many things. 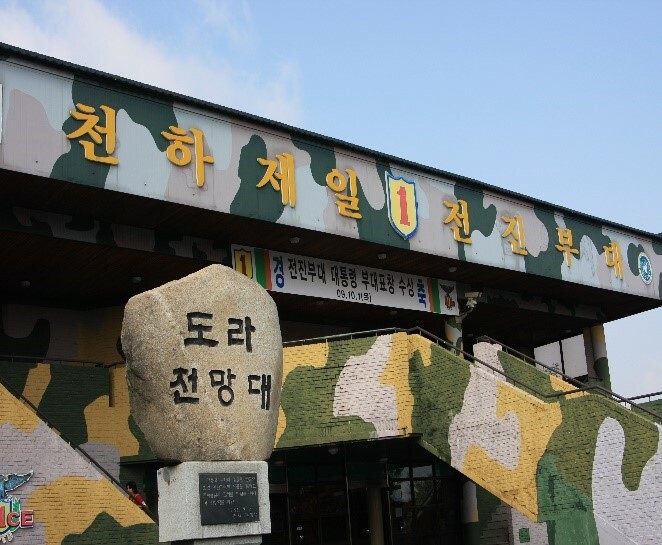 This dmz tour the most popular attraction in Korea. 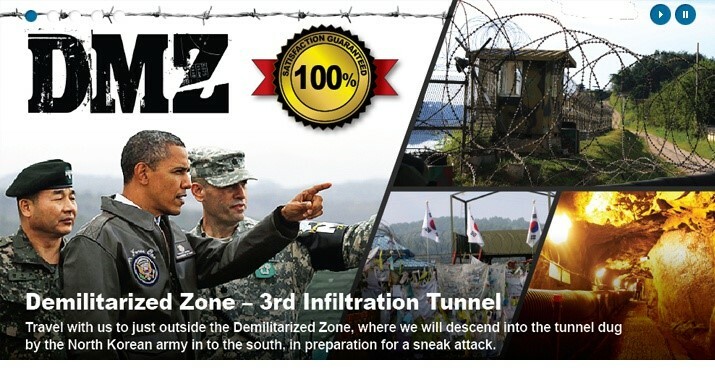 (One of dark tourism) If you go to the dmz tour, you can go to the 3rd infiltration tunnel. It is one of dmz tour course. Customers were very happy to take a picture but also very sad, because Korea is divided two. After the dmz tour, I recommended JSA tour. Today, it was bright sunny day, so we could have a nice tour. The trip to Korea was a very informative and interesting. The trip would like to recommend it to anyone. very good!!! Very informative!! Lots of fun with tour guide Lisa!!!!!! Thanks Lupy, Good Day, we both arrived home safely, we both very much enjoyed our day with you on Saturday, I have reported our positive experience to Samsung. Thanks for the pictures, they will remind us of our time in Korea. happy trip with COSMOJIN and lovely guide, Lisa today. Fantastic time to know more about Seoul!! I went on the city tour with Lisa and had a lot of fun it was great thank you for all you did! The first came in third tunnel, very interesting and I would recommend it. Seoul is full of contrasts. Busy yet tranquil. Modern yet traditional. Seoul is a beautiful city, we enjoyed every part of it! Seoul is a lot like New York City, but has a ton of things to do outside the city as well for an all around adventure. It was the second time to visit Korea but first time to have a city tour and I found Seoul is very unique and special.It should be highly recommended and I appreciate Diane,the energetic tour guide!! Rainy Seoul still wonderful place! Enjoyed much. Had a great tour! Awesome city! Seoul is the city of design? Come to DDP, or Dongdaemoon Design Plaza. Great time and my son learned a lot about Korea history today and I am so proud of it as a Korean American! Seoul is the city of unique designs including the biggest irregular structure of Dongdaemoon Design plaza. We went Ethiopian Korean War Memorial during Seoul tour. I feel proud for our country. Great DMZ tour with Diane! I have been to DMZ in Vietnam.But it was more instresting here! Diane, It was an amazing tour and your pride in your country and sorrow for the devison are deeply inspiring to me! I felt so sad when I got there in Imjingak at first but I found a hope at the end of the tour.It was very educational and cleared up inconsistency about the present inter relation.Thank you Diane! If you are going to meet enthusiastic, diligent, and friendly people, come to Seoul. Diane, was a pleasure to be in your tour today.Thank you for all the information which broaden my insight into the interrelation.I enjoyed very much! Here is Imjingak. It is a gorgeous day and very nice tour. This is a park located on the banks of the Imjin River in the city of Paju, South Korea. Seoul is a mega city with a lot of attractions to go and enjoy. Very informative tour! Very impressive!! We had a great famiky day at DMZ. Our little soldiers loved the attractions and had a fantastic time. We were very lucky, great weather and Lisa, our amazing guide, made it a very special day that we would highly recommend everyone try once! The DMZ tour reminds me of the Good Friday Agreement between UK and Northern Irland. It was a great tour and I will certainly show you(Diane) around the new London if you get to visit here again. It is a very lively and modern city! Great tour today with Mark. thanks Lisa. Special times with special friends. Seoul is clean and beautiful! very interesting place. Was good choice. Seoul is big and SeoulItes are kind. Seoul represents the hope of reconciliation between the two rival states. 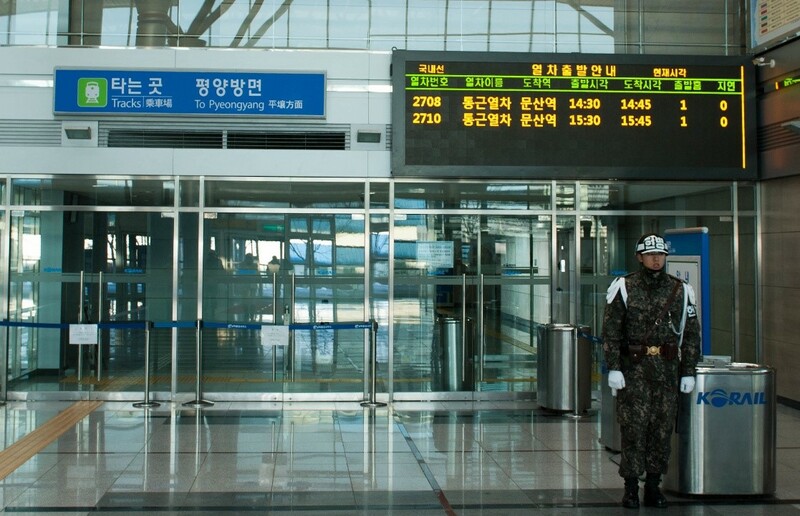 Seoul is nearby to the DMZ, the last frontier of cold war. Diane,I love the tour.The tunnel was living history and the viewing area was very surreal.It was just amazing!! Seoul is full of unique designs from its tradition and creativity. Seoul is so dynamic that you can walk any street being full of fun. To know Seoul is to love its kind people, clean streets, and tasty food. The tour was amazing because the tour was comprehensive and the guide (Diane, Lupy) has a very good ability to accommodate all different age and type of people! Seoul has an unbelievable tourist destination, DMZ! WOW! Korea tour - DMZ ! great! thank you. We travel Korea, D.M.Z by specially "DMZ-Train". We run between Seoul, Imjingang and Dorasan Station. This is amazing train. Seoul is just one hour driving distance from the most fortified area in the globe. The tour was just a great opportunity to see the confrontation between South Korea and North Korea. If you are going to find the truth, please go and see in person. DMZ tour is like a journey to a different world and Cosmojin makes all the difference. The tour guide was extremely knowledgeable and the driver, really kind. I already recommended my experience to my friends. Jackie, my tour guide for DMZ must have born to be a guide - she is so good at it. She guided me through the Japanese conquer to things that led to Korean war, it’s after effect and many more; along with sense of humor. As far as the trip itself, it is absolute terrific. I can’t imagine it being any better. I was shocked by DMZ tour even though I had read and heard quite a lot of on the area. I would highly recommend the Cosmojin tour since its service was really helpful for me to get the right understanding of Korean situation. Jung Juyoung crossed this bridge and went to North Korea back in 1998 with precisely 1,001 cows. Since then, we have been calling it the cow bridge. Of course all the cows he took with him were part of humanitarian donations for North Korean people.